Worksheet: Am I Ready for Residential Rehab? 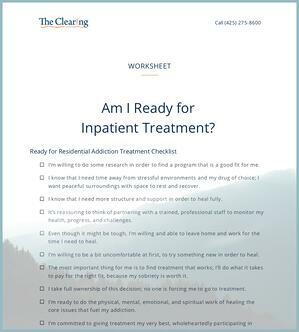 Free Worksheet: Am I Ready For Residential Rehab? Considering residential rehab, but not sure if you’re ready? This worksheet will take you through the discernment process step by step. Consider it your roadmap to getting to treatment. Remember, this is YOUR decision; you know yourself best. You are the expert on you!